An environmental group has said it is concerned about Lidl’s plans to place bins for unwanted packaging in their stores. The Sick of Plastic Campaign said the new bins conflict with the Government’s advice on what to put in our recycling bins. Yesterday Lidl said it would become the first Irish retailer to offer customers segregated recycling stations, by offering them at the end of customer checkouts in all 160 stores across Ireland. The bins will be rolled out from the start of May and will be available across all stores by the end of the month. But while it welcomed the engagement by the German supermarket chain, the Sick of Plastic Campaign said the three stream recycling station which Lidl are planning to use conflicts with the My Waste Ireland’s new recycling list advocated by the Government. "Lidl’s new bins are confusing because not all clear plastic is recyclable," said Claudia Tormey from the Sick of Plastic in a statement. "According to My Waste Ireland soft plastic cannot be recycled in Ireland - only rigid plastic can be recycled." The campaign suggested it might be better to copy the household waste model so customers dispose of their unwanted packaging correctly in-store. Businesses, including food producers and retailers, are coming under increasing pressure to reduce the use of plastic in packaging. 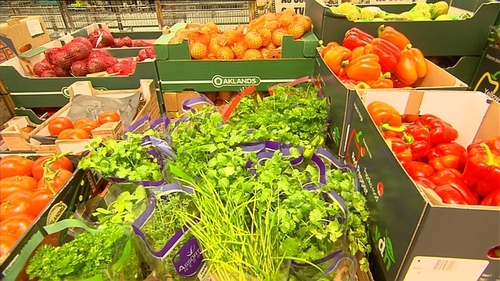 Environmentalists say supermarkets are making positive steps, but need to do a lot more to tackle plastic waste. The conflict arises just days before the second ‘Shop and Drop’ day of action on supermarket packaging which takes place on Saturday. An audit by Sick of Plastic found Lidl and Supervalu were the supermarket chains doing the most to address the issue, with Aldi, Tesco and Dunnes Stores lagging behind.